Specialty Provider Services - Outsource Management Group, LLC. 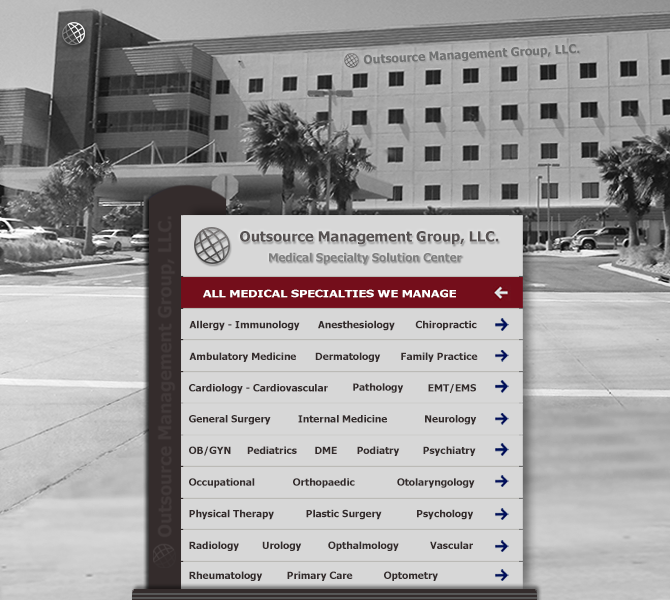 Outsource Management Group provides practice management solutions to a number of specialties in the medical field. These services include medical billing, coding, claim submission, audits, consulting and more. Below is a list of the medical specialties to which Outsource Management Group, LLC provides professional revenue cycle and practice management solutions. The following is a complete list of all healthcare and medical specialties the we provide revenue cycle and practice management solutions to, contact us today to get started increasing your revenue.